- mineralisation causes our body to produce natural bicarbonates which maintain the proper pH for maximum cell activity. The Biocera Antioxidant Hydrogen Alkaline Mineralised Water Jug allows you to enjoy the simple pleasure of Biocera water inexpensively anywhere in your house, office or also when you are travelling. 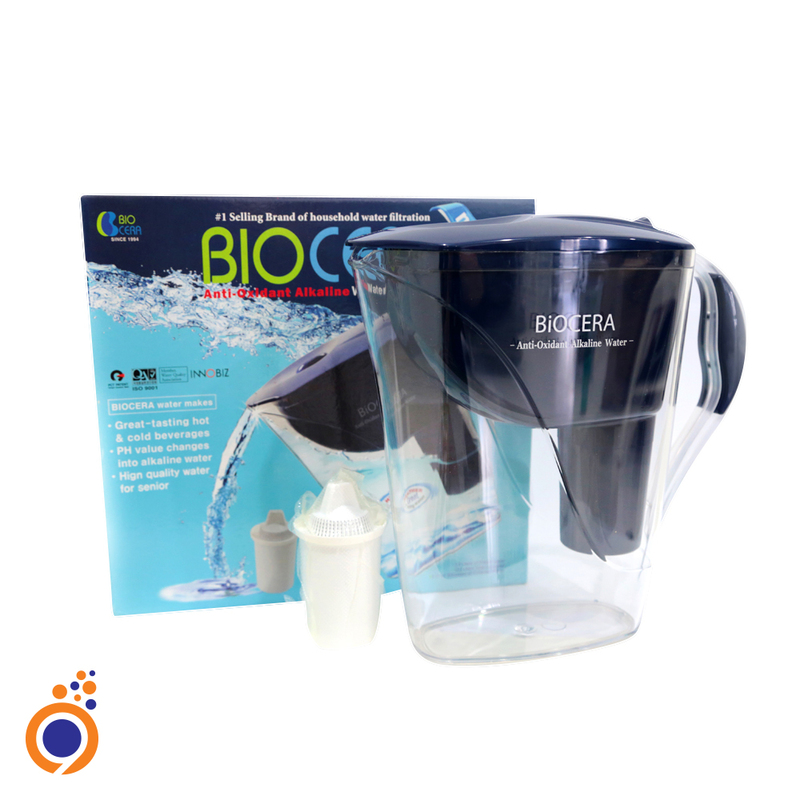 With the use of natural bioceramics, Biocera has made the detoxifying & antioxidation effects of mineralised and hydrogen water affordable. With this portable jug, all you need is tap water and you're ready to take advantage of the health benefits of drinking antioxidant hydrogen alkalinity water. Click here to read more information about this product.